Pickawall's quality self adhesive wallpaper is fun and super easy to install. Size 4.9ft x 9.8ft (1.5m x 3m). Not only will this transform your room but it is educational too. Supplied in 4 individual wallpaper panels. No Glue, No Mess, No Fuss & No Stress. Customize your world! 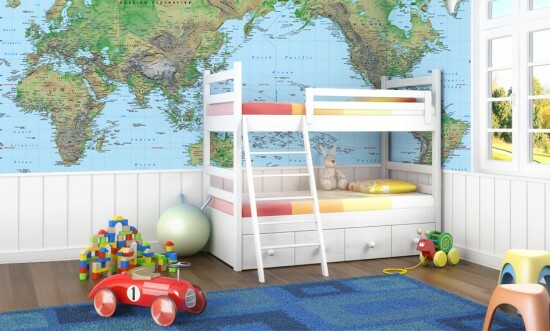 Tell your friends about Custom Wallpaper Mural - World Map! Welcome to the store of Pickawall.com. We have 2 products on sale today.